When it comes to fire safety, businesses have a duty to keep their employees safe and it’s wise to check that, as an employer, you are complying with your responsibilities under The Fire Safety Order 2005. 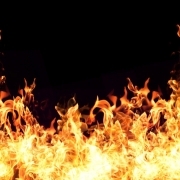 Regularly undertake and review a fire risk assessment of the business premises – this should take into account fire hazards (fuel, ignition and oxygen), people’s location around the premises, risks (of a fire starting, risk to people, fire hazards and obstacles for a fast and smooth evacuation). Local fire and rescue authorities have the right to inspect premises and can issue fire safety notices with changes your business needs to make in relation to fire safety. If you do not follow the current UK fire safety regulations you could be fined or sent to prison. A means of fighting a small fire in the form of multi-purpose fire extinguishers with a guaranteed shelf life. Typically there should be 1 extinguisher for every 200 m2 of floor space and at least one extinguisher per floor. A regular training programme to ensure staff are fully knowledgeable of fire risks in the premises and the procedure to follow if a fire breaks out. When it comes to purchasing fire safety equipment and services, the Fire Industry Association, is a good source of knowledge for the relevant British Standards. The information they provide can help you to select equipment which meets the latest safety standards. The FIA can also guide you on its accredited members for selection and installation of fire equipment.